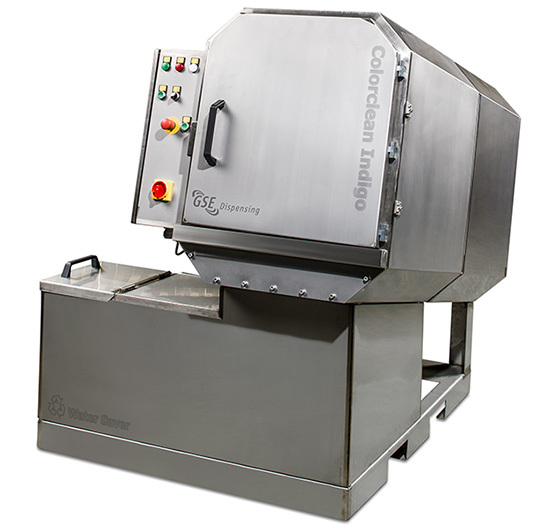 The Colorclean systems for cleaning buckets or drums for water-based inks are simple and efficient. Water is pressed through a series of rotating brushes that clean the inside and outside of the containers. 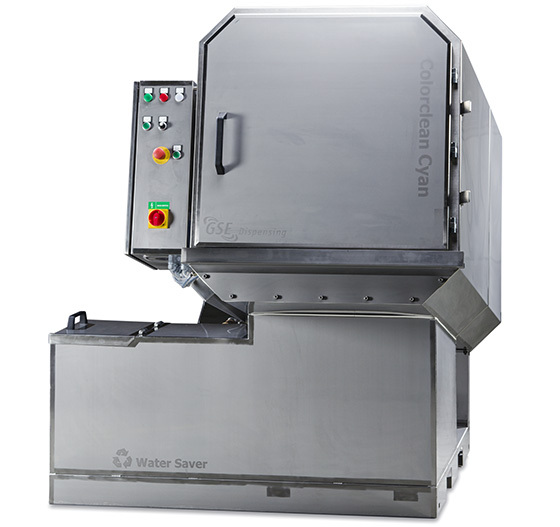 The robust washers are virtually maintenance free and are delivered in a stainless steel housing. And with the optional water saver you save 50-80% of your water consumption.